[SatNews] A NASA camera on the Deep Space Climate Observatory satellite has returned its first view of the entire sunlit side of Earth from one million miles away. 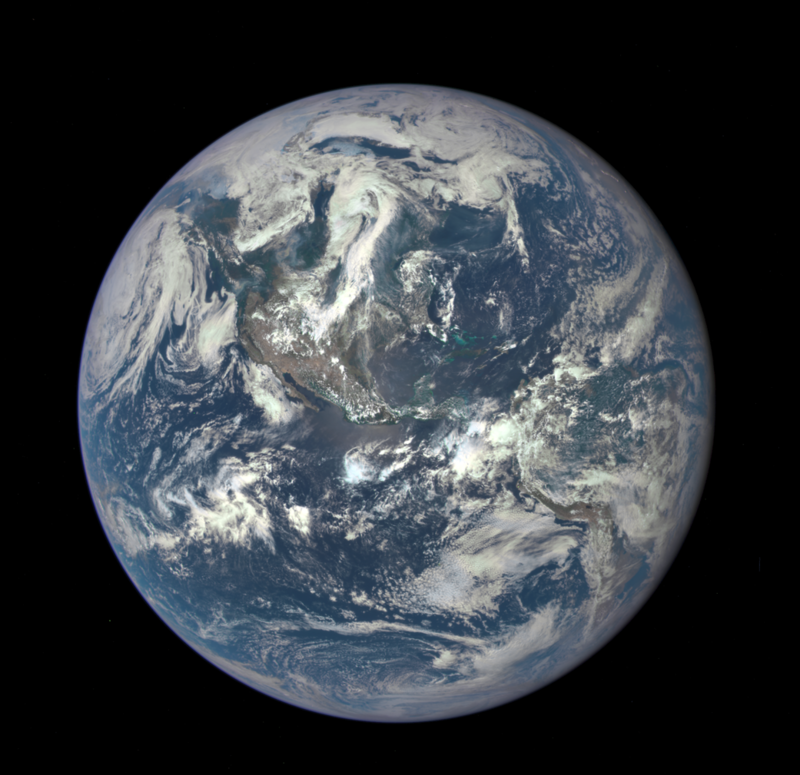 This color image of Earth was taken by NASA’s Earth Polychromatic Imaging Camera (EPIC), a four megapixel CCD camera and telescope. The image was generated by combining three separate images to create a photographic-quality image. The camera takes a series of 10 images using different narrowband filters—from ultraviolet to near infrared—to produce a variety of science products. The red, green and blue channel images are used in these color images.